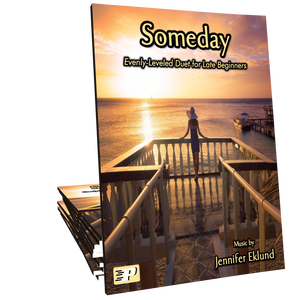 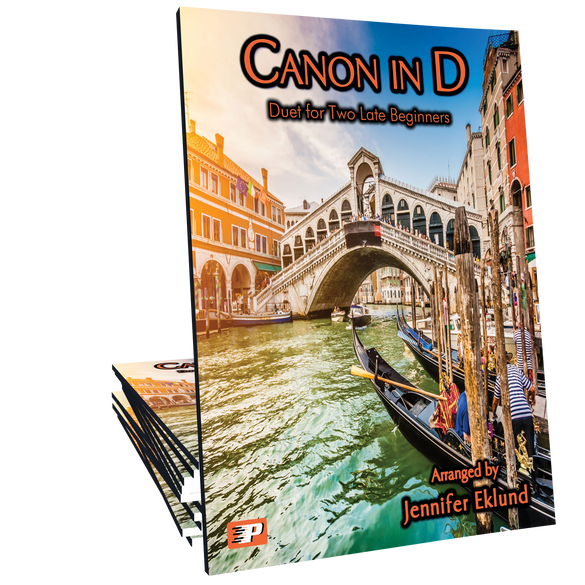 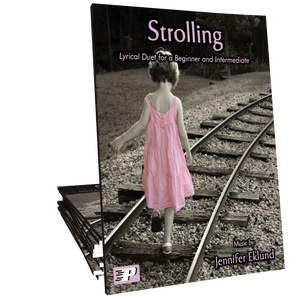 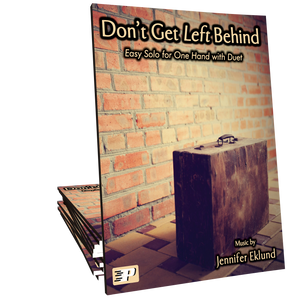 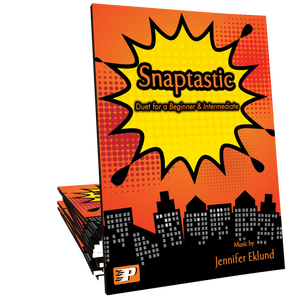 Canon in D arranged as an evenly-leveled duet for two late-beginners by Jennifer Eklund. 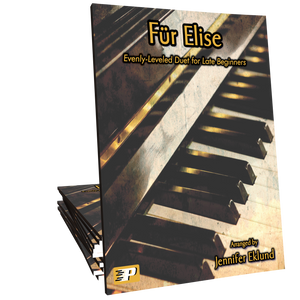 This flowing contemporary setting of Pachelbel’s iconic melody will be an uplifting addition to any recital. 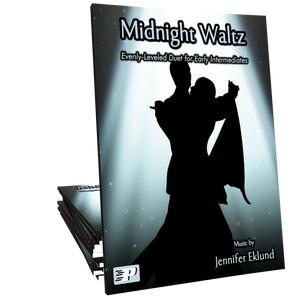 This very easy-to-listen-to duet will be well liked at any duet ensemble or monster concert!